Welcome to the Kyoto University Career Support Office. The Kyoto University Career Support Office organizes a variety of career development programs and services to assist all undergraduate & graduate students, as well as postdoctoral researchers at Kyoto University to prepare for their job hunt. In order to meet the career aspirations and desires of each student and researcher, the Kyoto University Career Support Office runs many programs such as career-building workshops, job preparation sessions, career fairs, mock-SPI examinations, and individual career counseling (at present, all of the programs – with the exception of career counseling – are available in Japanese only ). We at the Kyoto University Career Support Office will always do our best in providing high quality services to assist in the identification of career opportunities and for the development of necessary skills required of students and researchers who are in the market for a job. We welcome all comments and suggestions regarding our website, services and programs so that we may continue to improve them. We also offer specialized programs and services for doctoral students and postdoctoral researchers, which originate from the Kyoto University Career Path (KUCP) programs 2007-2009. After the program, we have hold regular programs to support doctoral students. Please see our website for further details. We have 3 offices at each of the three Kyoto University campuses; Yoshida, Katsura and Uji. The Yoshida location is the central office, while the others are satellite offices. 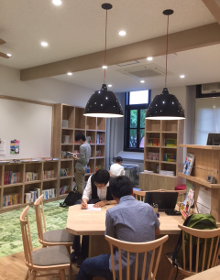 Copyright©2014-2016 Kyoto University General Student Support Center, All rights reserved.